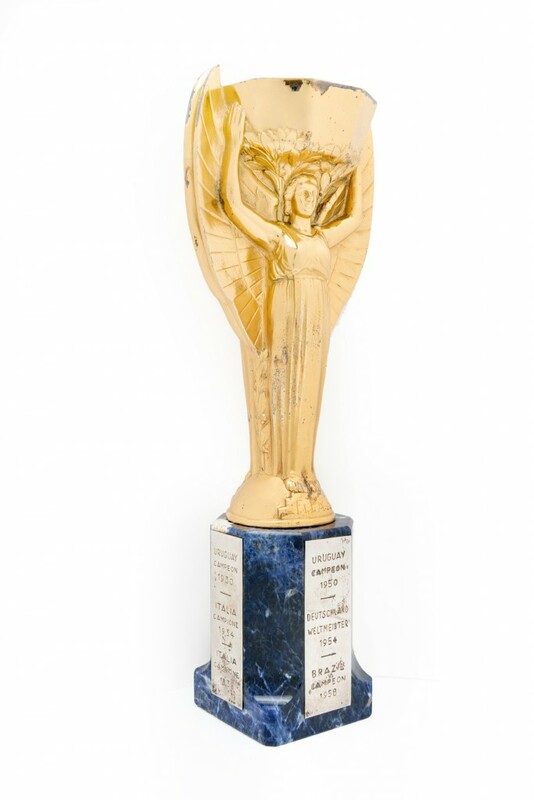 World-famous soccer star Pele's Jules Rimet trophy sold for $573,000 at a Pele: The Collection auction held June 7-9 at Mall Galleries in London, England by Julien's Auctions, based in Beverly Hills, Calif. Also, Pele's game crown given in honor of his 1,000th professional soccer game played went for $235,760; Pele's 1958 World Cup soccer medal knocked down for $290,000; Pele's 1962 World Cup soccer medal fetched $199,500; and Pele's 1970 World Cup soccer medal changed hands for $500,000. Prices include a 20 percent buyer's premium. 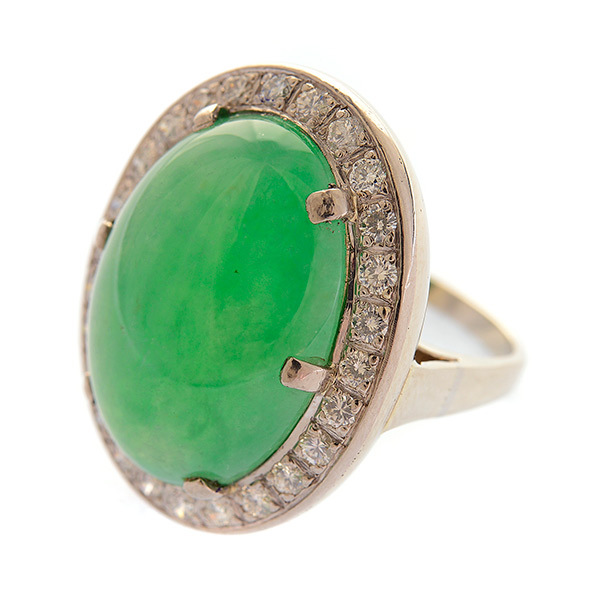 A GIA-certified jade cabochon ring sold for $8,260 at an estate auction held June 11 by Michaan's Auctions in Alameda, Calif. Also, a lot comprising six jade bangles from the Naomi Lindstrom Collection went for $5,310; an abstract artwork by the California artist Noriko Yamamoto finished at $7,670; a walnut cased Coleman E. Adler mahjong set breezed to $2,360; a lot consisting of Wedgwood and Bentley pieces brought $2,242; and a carnelian abstinence pendant with Manchu script made $4,130. Prices include a 17 percent buyer's premium. 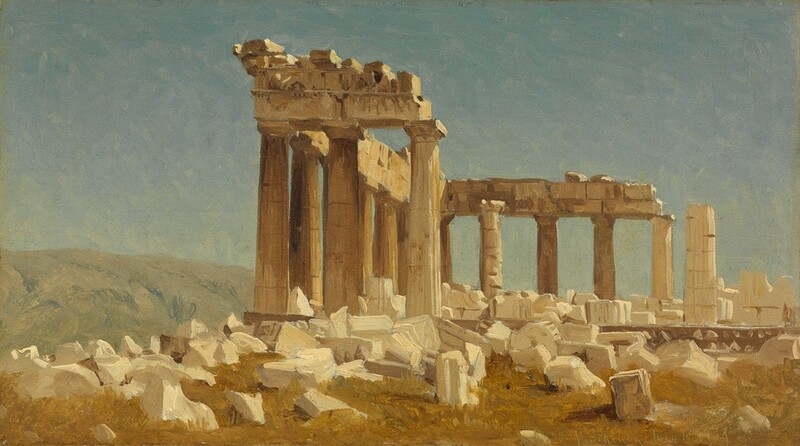 An oil-on-canvas painting by Sanford Robinson Gifford, done in 1869 and titled Study of the Parthenon, sold for $269,000 at an American Art Auction held June 9 by Swann Auction Galleries in New York City. 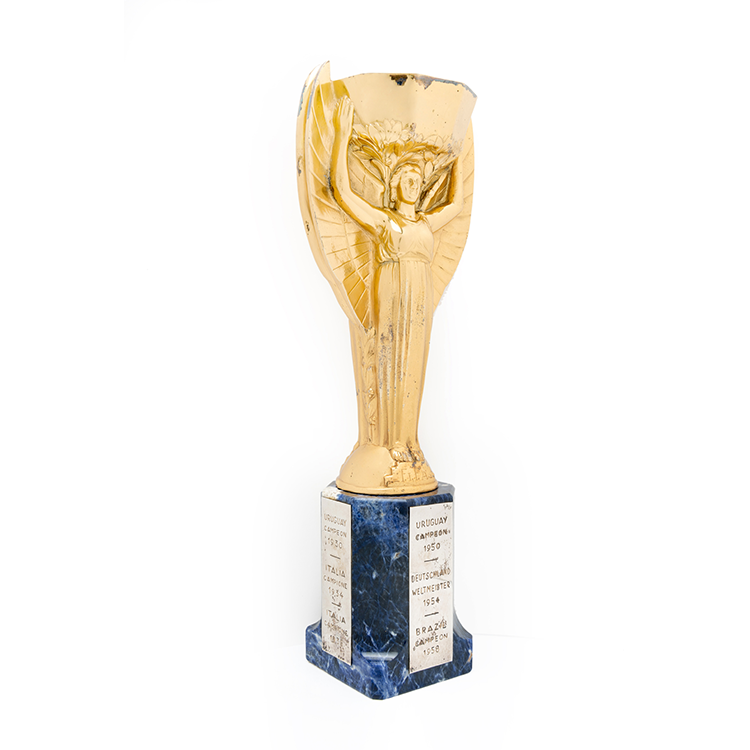 Also, Steve Wheelers' circa-1943 oil-on-canvas titled The Halogens II changed hands for $65,000; Miguel Covarrubius's circa-1924 watercolor and pen and ink titled At Leroy's garnered $60,000; and a circa-1920s oil-on-canvas winter scene by Guy C. Wiggins, titled Chicago Blizzard, made $42,500. Prices include the buyer's premium. 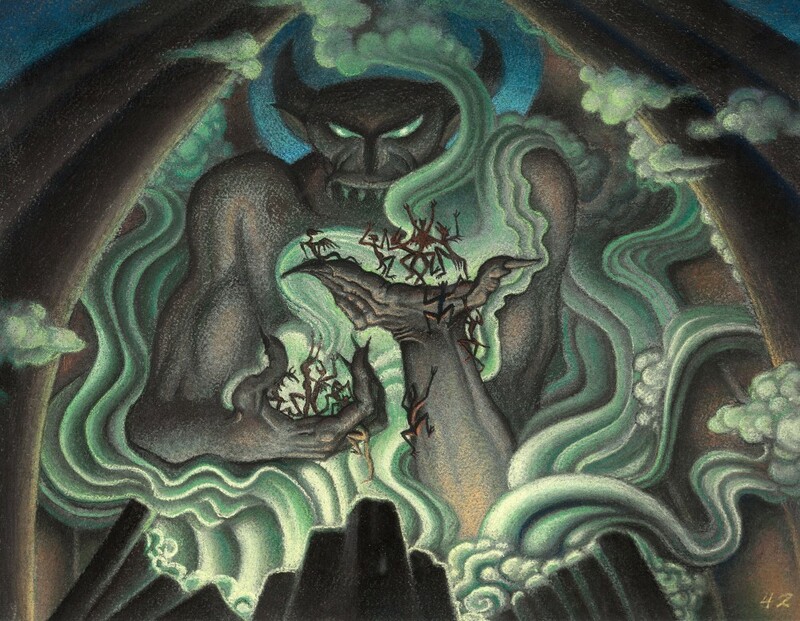 Danish illustrator Kay Nielsen's Chernabog concept art for the 1940 Walt Disney classic film Fantasia sold for $65,725 at an Animation Art Signature Auction held June 11-12 by Heritage Auctions in Dalllas, Texas. Also, Eyvind Earle's 1957 concept art for the theatrical short The Truth about Mother Goose, depicting London Bridge prior to the Great Fire of 1666, realized $40,630; and a hand-inked, hand-painted early Mickey Mouse production cel with a haunted house theme, circa 1929-1930, went for $23,900. Prices include a 19.5 percent buyer's premium. 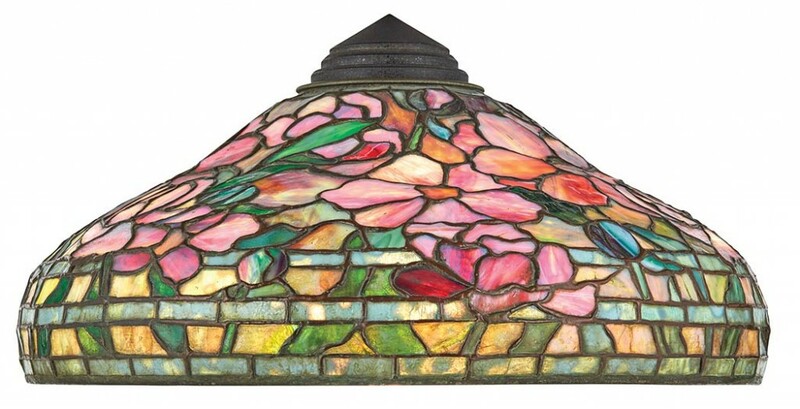 A Tiffany Studios Favrile leaded glass Spring Peony shade, 18 ¼ inches in diameter, sold for $37,500 at a Belle Epoque Auction held June 8 by Doyle New York in New York City. Also, an exquisite box in the style of French ebeniste Andre-Charles Boulle soared to $16,250; a Tiffany & Company silver service in the English King pattern fetched $10,000; and a painting by the Romanian artist Stefan Luchian (1868-1916), titled Still Life with Goldenrods in an Earthenware Pitcher, went for $23,750. Prices include a 25 percent buyer's premium.